Navod is using Smore newsletters to spread the word online. Smoking also doesn't only effect you. When you smoke the toxic and poisonous fumes stay in the air, and most of the fumes aren't visible, but when you inhale it, it can harm other peoples lungs. 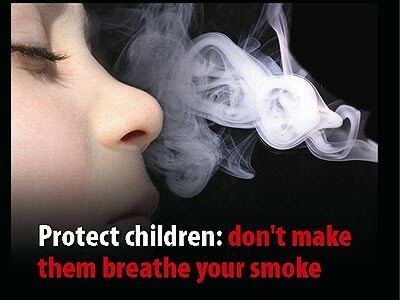 DON'T SMOKE. BE SMART. Did you know that every cigarette you smoke you take off 4-7 minutes of your life? When you smoke it stunts the growth of your lungs. You can get many health issues when you are older if you long-term smoke. Also if you smoke alot for a long time, you could take off even 15 years of your life. Tobacco is the second major cause of death in the world. It is currently responsible for the death of one in ten adults worldwide (about 5 million deaths each year). 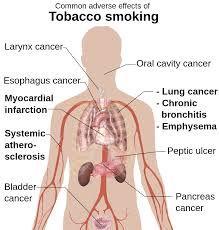 If current smoking patterns continue, it will cause some 10 million deaths each year by 2020. 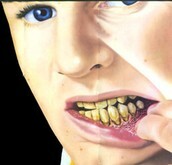 Half the people that smoke today -that is about 650 million people- will eventually be killed by tobacco. Tobacco and poverty are inextricably linked. 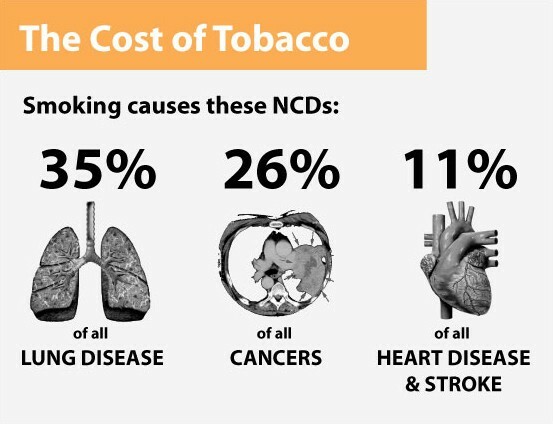 Many studies have shown that in the poorest households in some low-income countries as much as 10% of total household expenditure is on tobacco. This means that these families have less money to spend on basic items such as food, education and health care. Cigarette smoke contains polonium 210, a radioactive element. One study shows that a person who smokes 20 cigarettes a day receives a dose of radiation each year equivalent to about 200 chest x-rays. In 1999, tobacco-related medical expenditures and productivity losses cost the United States more than $150 billion—almost 1.5 times the revenue of the five largest multinational tobacco companies that year. A Finnish study of consumer reaction to a possible 'eco-cigarette', found that dispensing with the external plastic wrapping, aluminium foil liner, and use of unbleached or oxygen bleached paper for the box and/or cigarette instead of the usual chlorine bleaching would likely be acceptable to smokers. What are the E- Ciggarettes? Electronic cigarettes, or e-cigarettes for short, are battery-powered devices filled with liquid nicotine (a highly addictive chemical) that is dissolved in a solution of water and propylene glycol. 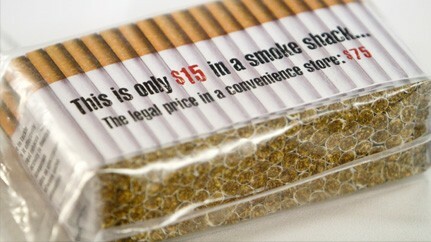 Many of them look like real cigarettes, with a white cylindrical tube, brown filter, and red-glowing tip. Others come in less conspicuous, darker colors.The atomizer contains a small heating coil that vaporizes the liquid, and generally consists of a simple filament and wicking metal mesh or silica wick to draw the liquid in. It is positioned in the center of the three components that make up the entire electronic cigarette cylinder, as the cartridge attaches to one end, and the power unit to the other.